Colton Haaker Crowned King Of The Motos – Continuing in the grand tradition of King of the Motos, the race format saw another change-up this year, with riders taking on a three-moto format. The demanding extreme race, which requires riders to navigate through an unmarked course via GPS, added the element of night racing to the 2017 event, giving riders a full gambit of challenges en route to carding a finish. Colton Haaker emerged victorious at the King of the Motos. The weekend ended with some confusion, and some hard luck for KTM riders Cody Webb and Taylor Robert. 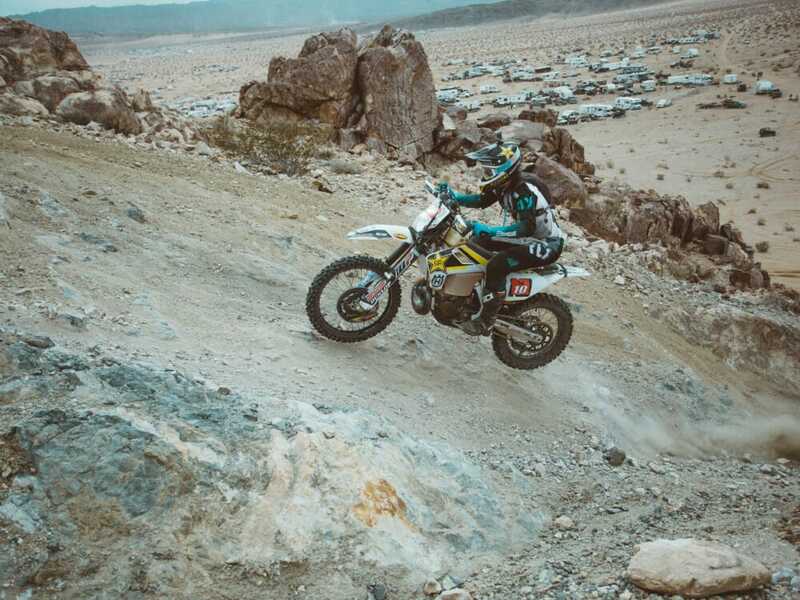 Webb took the checkered flag in the final only to find out he had missed the final King of the Motos checkpoint near the finish line, which cost him the race. His FMF/KTM teammate fared far worse, ending his weekend in the hospital after a high-speed crash. It was Rockstar Energy Husqvarna’s Colton Haaker who emerged with the overall win, having focused his race on remaining steady and vigilant. He admits Webb was the faster rider, but his strategy of keeping the rubber side down and hitting all the checkpoints paid off in the end. Webb’s loss came on the heels of a severe crash by his teammate, Taylor Robert, amounting to a thoroughly disappointing weekend for the FMF/KTM team. Robert’s weekend started out good with a win in Saturday’s night race. Webb nabbed the holeshot and the teammates swapped the lead throughout much of the race, ending in an all-out charge to the checkered flag. Robert edged out Webb for the win, meanwhile Haaker was recovering from a navigation error, and working his way back up to a third-place finish. Webb and Robert were ready to square off again in the morning, and as before, Webb grabbed the holeshot closely followed by his teammate. After clearing the bottleneck, they headed into the desert—Robert’s specialty. Webb attempted to make a run for it, knowing his teammate wouldn’t be far off. The pack resumed the race, agreeing to head out in the order they arrived to complete the second race. In the final, Webb once again took the early lead, and went on to dominate the entire one-hour final, only to miss the final check. Haaker was next in, taking the overall with his 3-3-1 score. It marked Haaker’s second King of the Motos win in three years.